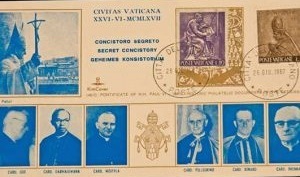 These stamps commemorated the consistory that appointed, among others, Karol Wojtyla as a cardinal. He is one of six cardinals pictured on these stamps. He became Pope John Paul II.